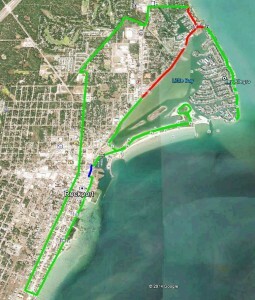 When cycling in Aransas County, as is the case on any public street, always wear a helmet and bright, highly visible clothing. It is also recommended to have a flashing red safety light mounted behind the saddle. Always ride with the flow of traffic, unless routes converge with sidewalks, and please obey all traffic laws and regulations. GREEN – HIGH EASE OF USE: Bike lanes, wide curbed lanes or low traffic volume residential streets. Some sidewalk connections. BLUE – MODERATE EASE OF USE: Generally low to moderate traffic volumes. May have wide outer lane, wide shoulder or shoulder with rumble strip. RED – LOW EASE OF USE: Higher traffic volumes, or narrow lanes with narrow shoulder or no shoulder, difficult connections for some cyclists. 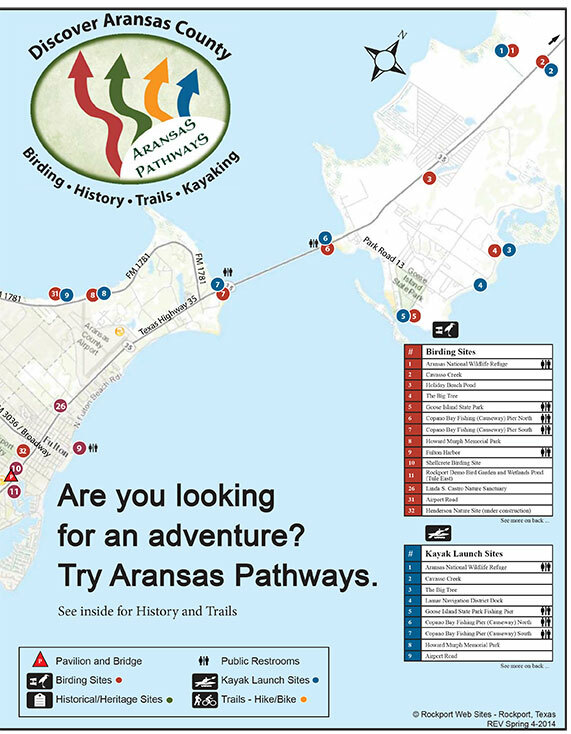 This link will download a kmz file which can be read and used by Google Earth to put all the Aransas Pathways Bike Trails on your map. Click here to download. Get Google Earth. Put the world in perspective. Google Earth is available here.